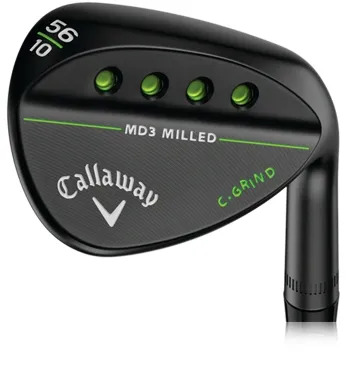 In the example above you can clearly see that the Grind on the middle wedge (‘W’ Grind) is wider than the two alternatives (the ‘C’ and ‘S’ Grind). Along with the bounce angle the wider sole width offer ‘more bounce’ (or more sole) to prevent digging. The ‘S’ grind works with a wide range of conditions (normal, soft or firm). 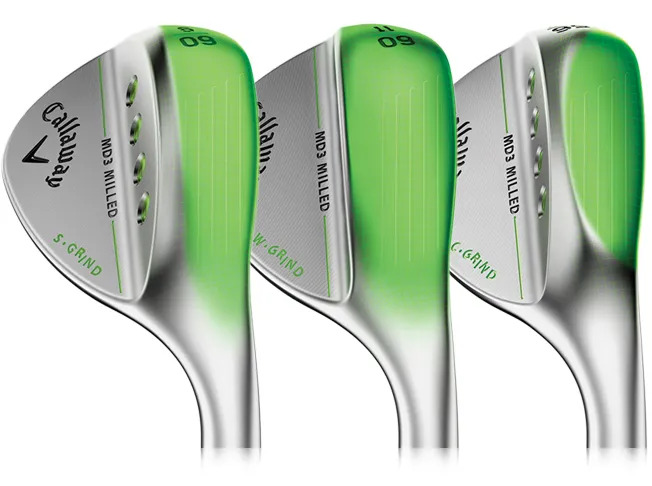 It also offers you the ability to play different greenside shots. 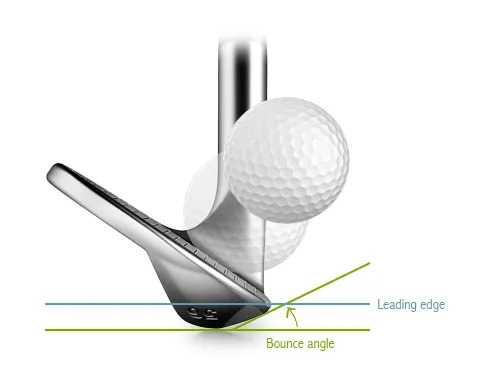 If you’ve a steeper angle of attack on your swing we wouldn’t recommend that grind. We’d probably look at the ‘W’ grind. 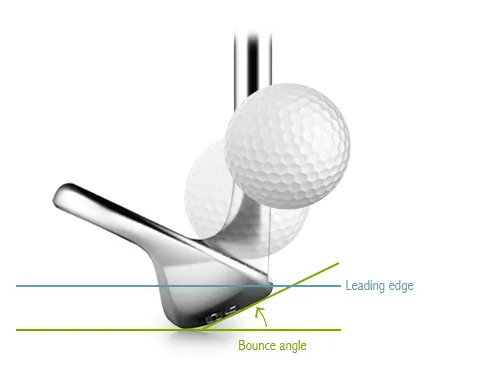 Those of you who like to play all sorts of greenside shots will need the heel and toe relief from bounce offered by the ‘C’ grind. 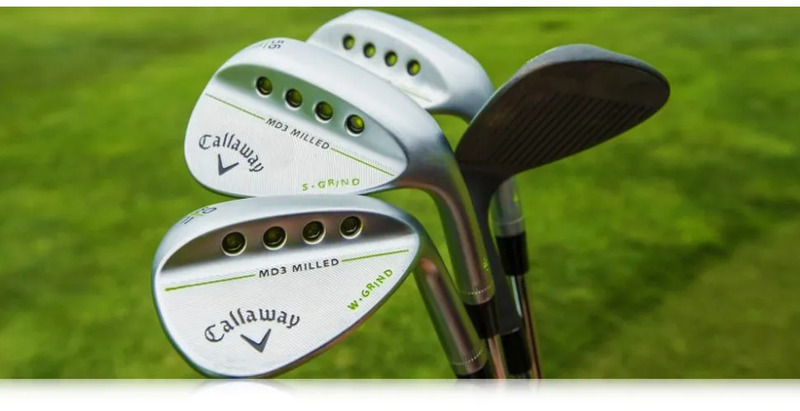 These wedges will probably work better for those with a shallower angle of attack on the ball. There’s very little bounce to prevent digging.